LABB, which is our acronym for "Let Able Buyers Buy". We are not seeking a total removal of ABSD for Singaporeans buying a second private property. But with the TDSR already showing its "teeth" in restraining buyers from overstretching themselves financially and SSD putting a curb on speculative activities, maybe the government can consider reducing the ABSD from the current 7% to say, 3%? The government had already tried to manage the proportion of shoebox units in suburban areas by insisting an average unit size of 70sqm gross floor area for new developments. We say let's do one better by putting a minimum size requirement for all "small format" units and set this at, say 400sqft. With the demand for such unit type waning in both the sales and rental fronts, we are probably already in an excess supply situation. Maybe buyers and tenants have finally realised that a space of around 300sqft (some even less) is really a tad too small? Given our nation's love for "campaigns", let us add this one to our list. The music from the xylophones are sure to sound better than those xenophobic trumpets, and if we gather enough xylophonist, we make may just be loud enough to drown out them "xenophonist". While residential projects near/next to a MRT station is still a big draw, this notion is increasingly being challenged these days with the more-than-frequent train break-downs. Although the occasional "walking tour of our MRT train tunnels" sounds fun, it may not be so once this becomes a regular chore. So if the one-point-something million fine that the government had imposed so far is no deterrent enough, maybe we can consider increasing this to, say 10 million? And we aren't talking about those old and dilapidated ones rather the glittering (literally speaking, from water and glass fragments) new mega malls that have commenced business recently. While an interior water fountain may be an attraction, a "waterfall" from bursting water pipes is not. Same goes with shattering glass roofs or doors. And speaking of glass door, this is meant to keep the air-conditioning in and not as a form of amusement for toddlers - we sure hope that parents with young children can keep this in mind. 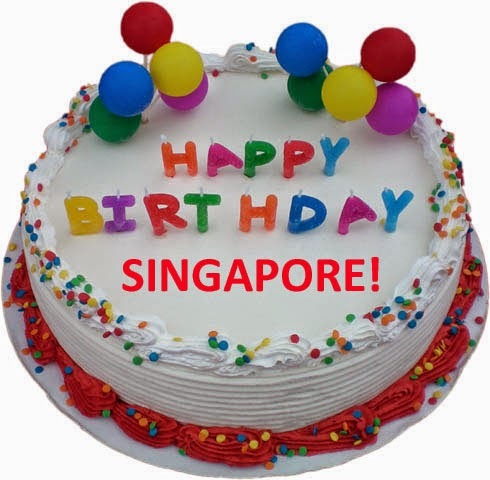 No Comment to " Our wishes for Singapore on its 49th Birthday! "